Josh Charles has some explaining to do. "The Good Wife" actor was killed off the show during Sunday's episode, and while the showrunners have explained why it happened - sending him off alive wouldn't be enough to keep his Will Gardner away from Julianna Margulies' Alicia Florrick - they also placed part of the blame on Charles' shoulders. "(W)hen faced with the gut punch of Josh’s decision, made over a year ago, to move on to other creative endeavors, we had a major choice to make," Robert and Michelle King said in an open letter to their "loyal" "Good Wife" fans. 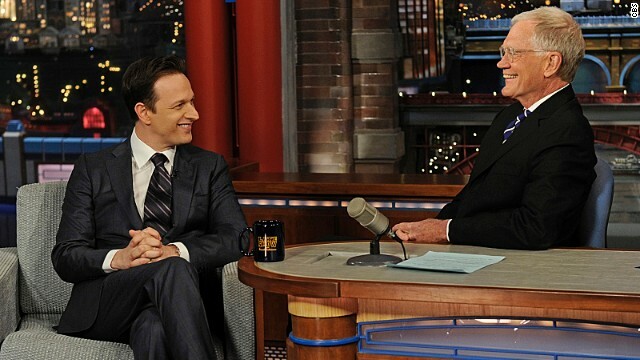 So on "The Late Show with David Letterman" Monday, Charles took the opportunity to share his side of the story. "We've known this since last year," he said of his shocking "Good Wife" exit. "It's been one of the greatest gigs for me ... but at the end of last year my contract was up, and I was just ready to move on." Charles has portrayed Will Gardner since the series started in 2009, and his death has hit fans hard. Even his own neighbors, whom he has yet to meet, told him they took his character's death personally. "The neighbors across the street, whom I don't even know, had left my wife and I a beautiful note that they felt like a family member had died," Charles shared. "I just want to say to all the fans that I appreciate all of your comments. ... Everything's going to be OK."